The building itself is nice but completely overpriced. Management will lose your packages. Would not recommend. My wife and I both work while I am going to school. This place has been great for us. While it may be on the more expensive side, since we both work in Sandy we save a bunch on Gas and other expenses. I would highly recommend to any couple. I’ve been living here for two years and love it. It’s a bit on the nicer, more expensive end of apartments close to SMU. The area is safe and you can walk to the Katy Trail, Starbucks, the Apple Store and tons of other great shops and restaurants. The management is kind of strange is the only low. 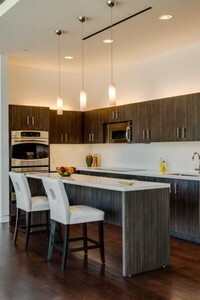 3800 Main offers some of the best amenities and finishes for the lowest price in Midtown. They have a pool, two gyms, two clubhouses, grills, and computer rooms. Management is responsive and reasonable. This property is very accommodating. Amenities are great. Free Starbucks machine in the club room, free gym, gated parking garage, key fob required to enter the building. If you want a little city-life and have a vehicle, this is a great place. It's about 5 miles away from campus, and takes roughly 20-25 minutes to get to school in the morning, and about 20 minutes to get home in the afternoon. The apartment itself is large and well laid out. Each floor of the building shares a free washing machine and dryer. HOWEVER the apartment manager who lives in the apartment building is terrible. She has four animals, two of which are dogs, even though the building doesn't allow residents to have dogs. None of the animals are trained and they bark, howl, slam against the door, and fight at all hours. They've broken down her back door twice, and have caused damages. Their feces are left in the shared backyard of the building for days and weeks on end and have caused other residents' and neighbors' animals to get sick. The police have been called before because of blood smeared on her windows, which ended up being from the dogs fighting each other. All such noise and safety complains fall on deaf ears, as they are sent to her. The management company refuses to talk to any residents, and directs all contact back to her. If she were to leave, the apartment would be large and a great deal for the price. However as - is, it is loud, scary, and potentially dangerous for us as residents and our pets. 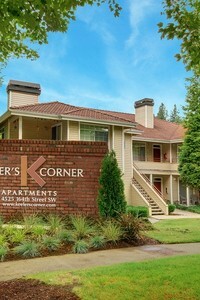 It's hard looking for an apartment that accepts pets but this place is so welcoming for pet owners! They have a pet spa within the facility! The location isn't bad at all! I feel safe taking my dog out for a walk later in the night. Nice apartment for roommates too. We really love living here. The proximity to the train is a really cool option when we want to go out, and their are plenty of bars and restaurants within easy reach. 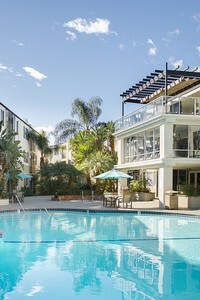 The complex is well maintained and the staff are friendly. Parking is generally very easy it's a great location to commute from. 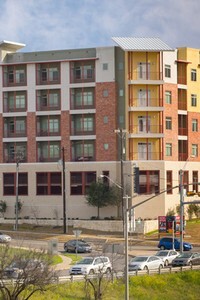 Midtown Commons is conveniently located in mid town Austin right on the metro Station on N.Lamar and Airport. The community is nice, clean and secure with multiple shops within the community including a local brewery. 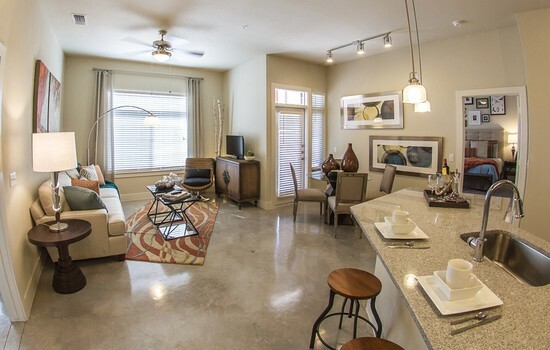 The community is on 15 min drive to the airport and about the same to the town lake in down town Austin. The only upgrade I would personally ask for is a bigger Gym and routine maintenance to garage doors locks. I've lived here for two years and absolutely love it. You literally will not find a better place in this location. It comes with a washer and dryer and that's hard to find. You cannot beat the price for this awesome location! I can also walk to Starbucks and the grocery store. Rent increased from $919 at move-in May 2013 to $1,158 starting March 2015 for 340SF apt ($239 increase; utilities not included). I'm moving! Too many leaking pipes in bldg. One cleaning person for a 9-story bldg. Only love the location & free Wi-Fi.